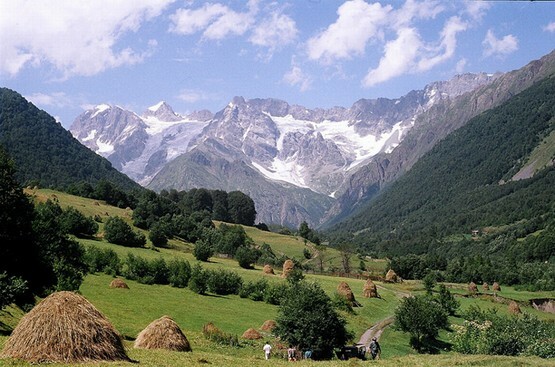 Nut salads are popular all year round in Georgia. 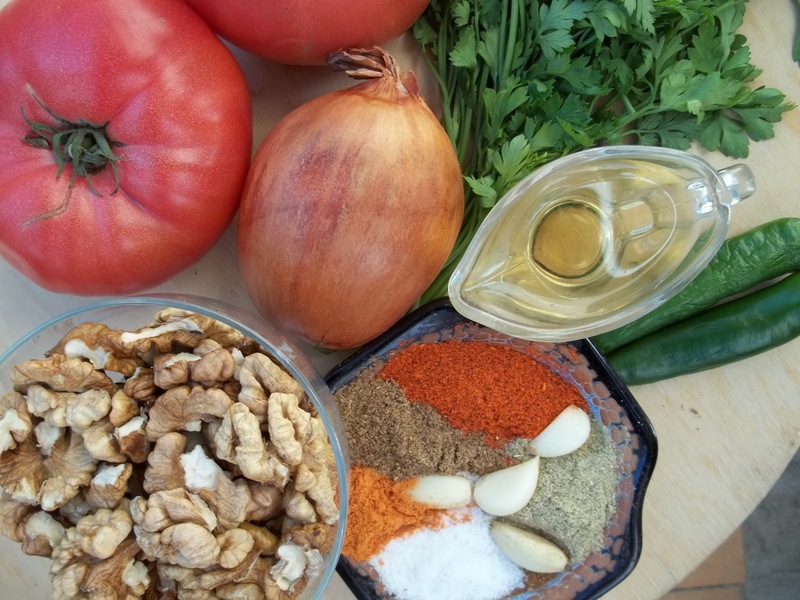 In this recipe we show how to make a delicious tomato and walnut salad. 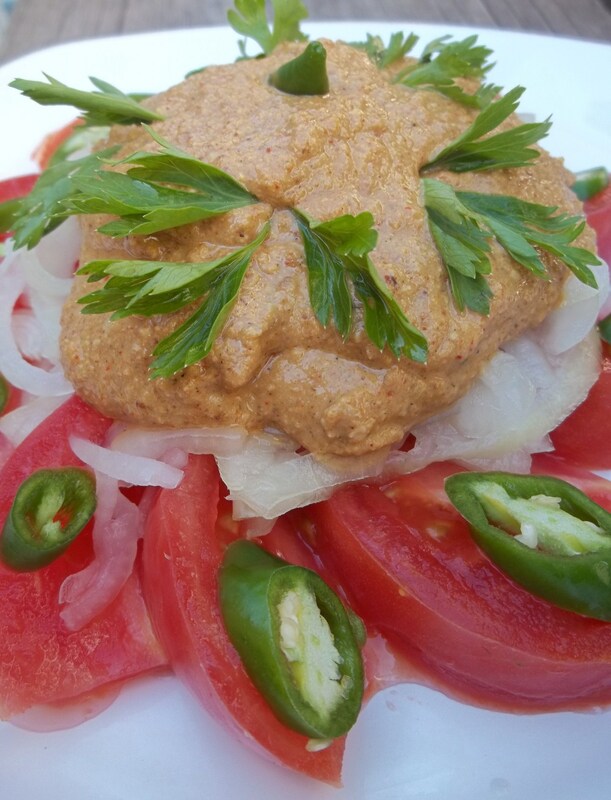 Ingredients: 2 large tomatoes, 200 grams of walnuts, 1 medium sized onion, 3-4 cloves of garlic, 20 grams of fresh parsley, 1 level tsp of dried marigold, 2 hot green peppers, 2 tsp of dried red pepper, 1 level tsp of blue fenugreek, 1 level tsp of dried coriander, 4 tbs of vinegar and, salt (amount dependent upon personal preference). 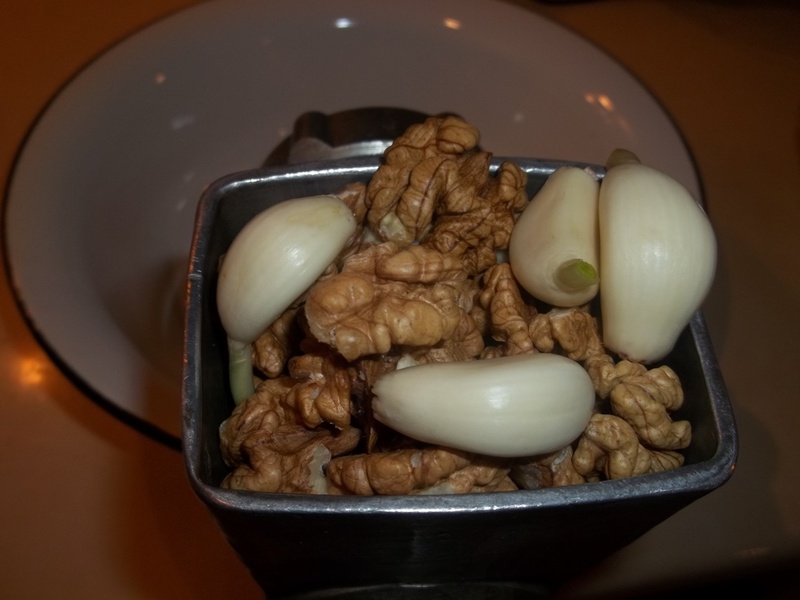 Preparation: Crush the walnuts and garlic together (we used a meat grinder). Add the spices to the crushed walnuts and garlic. 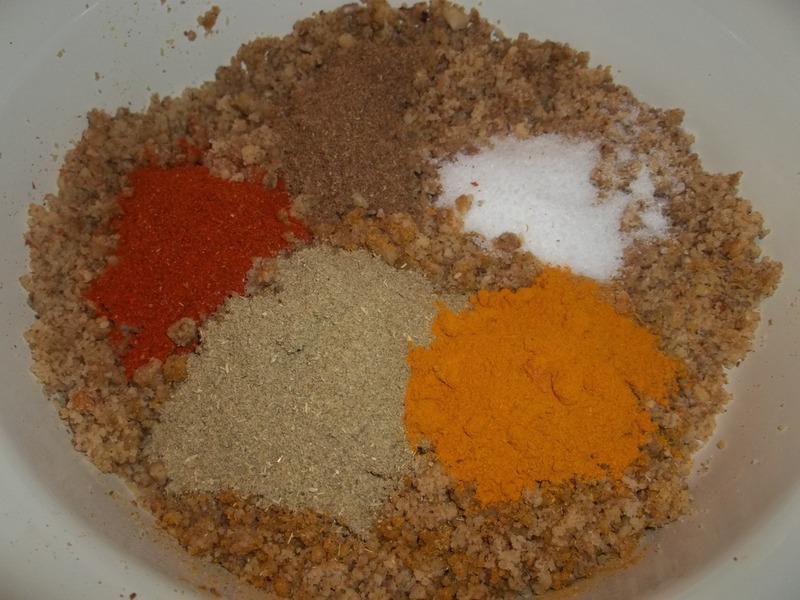 Mix and add 4 tbs of vinegar. 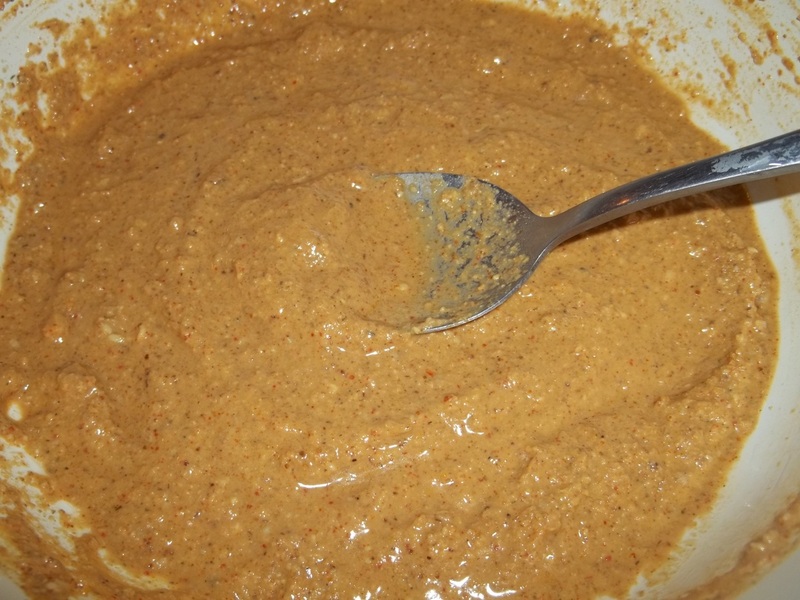 Continue mixing and then slowly add 70 ml of boiled, cooled water, stirring continuously. 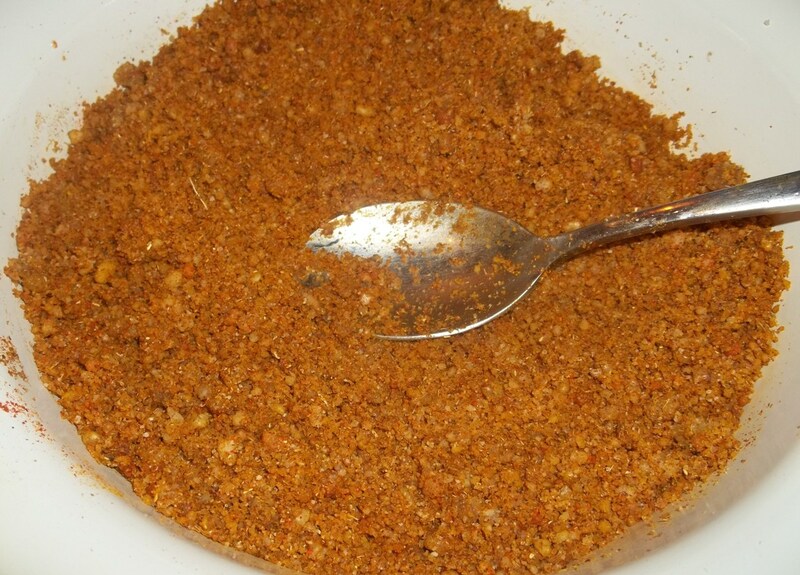 The mixture should look like the picture below. 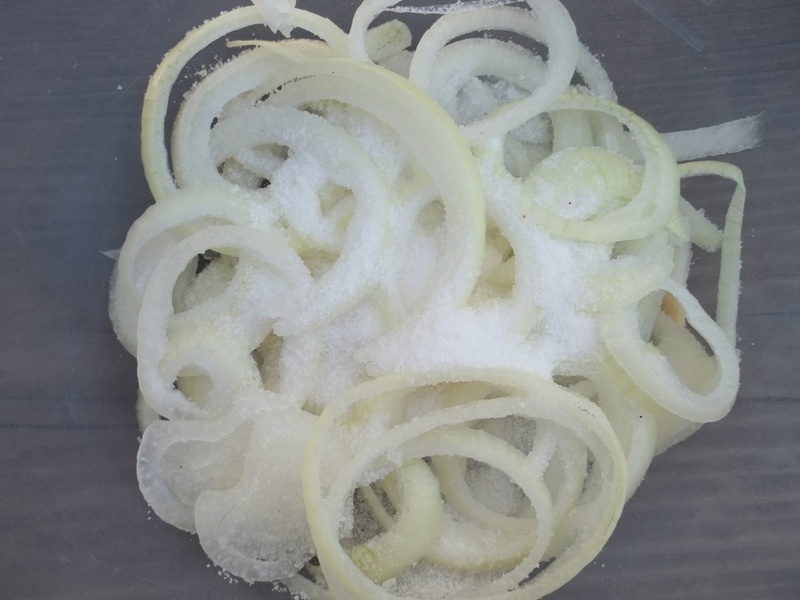 Slice the onions and add to a mixing bowl with salt (amount dependent upon personal preference). 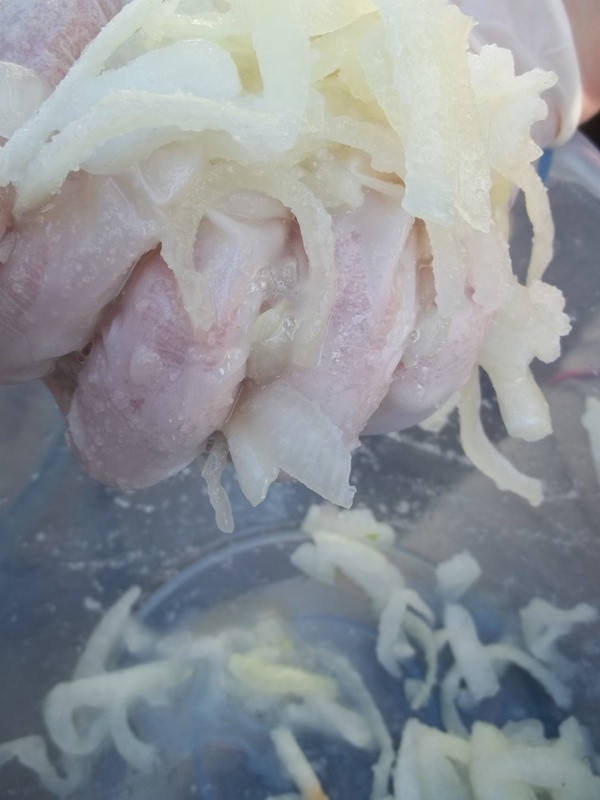 Squeeze the onions with a gloved hand. 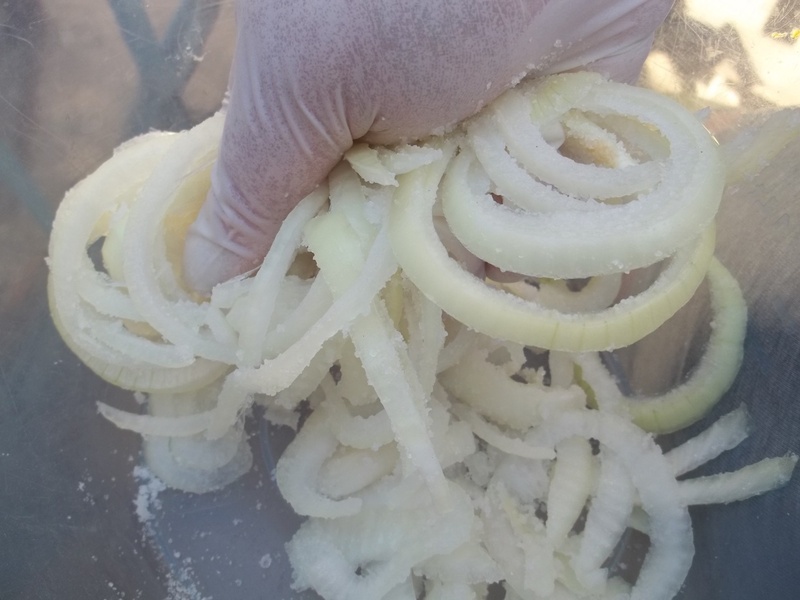 Squeeze the onions very hard to remove as much liquid as possible and also the strong onion flavor. Slice the tomatoes and peppers. Serving: Serve cold. We garnished ours with parsley. 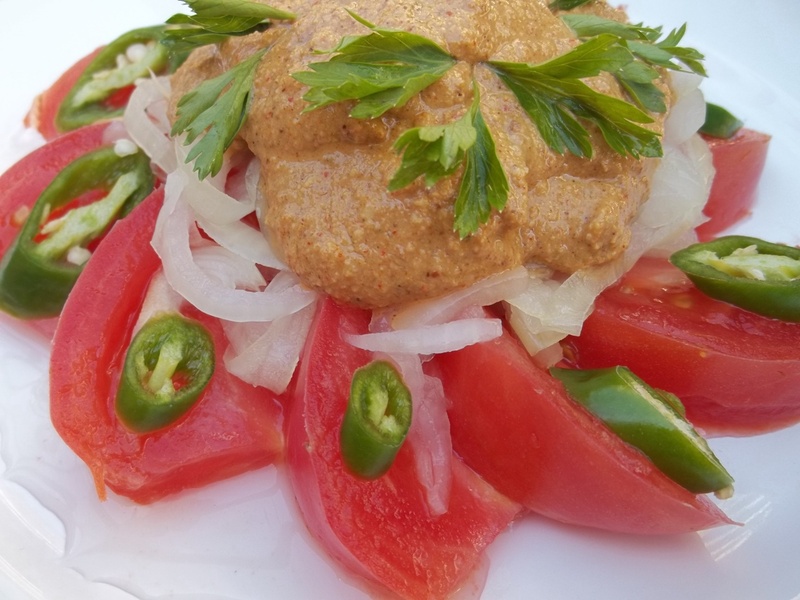 Enjoy your Tomato and Walnut Salad!